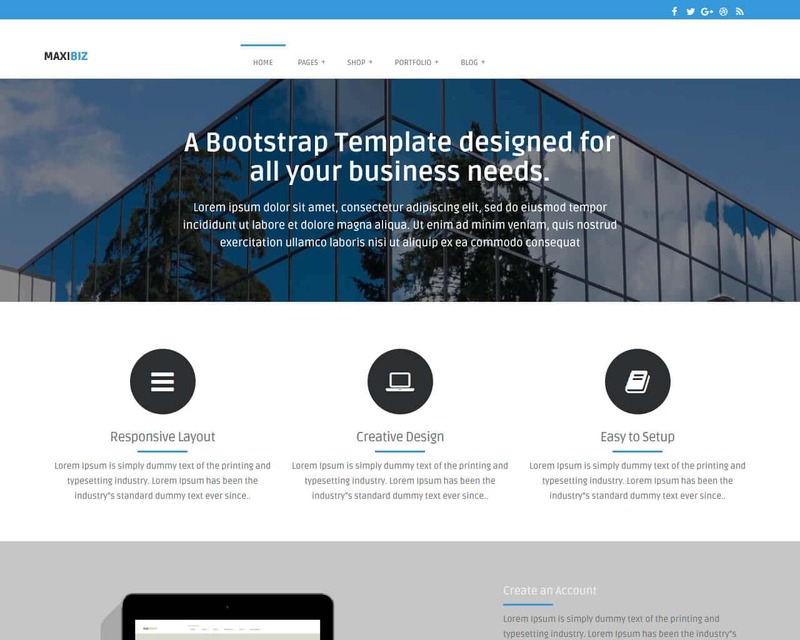 MaxiBiz is multi-page business website template built with Bootstrap. It is suitable for all agencies, businesses and corporate and it can be used to design any website template as it comprises all the required elements. The template design is flat and unique and it comprises all the features that allow you to showcase your products and services in a professional way. You can creatively include the services and products of your business and provide details regarding each service through this template design. MaxiBiz comes with 7 predefined color schemes each in separate CSS files for easy switching. Some of the other features of the MaxiBiz include eCommerce templates, Blog templates, and many more page templates. It also applies a sticky menu when you are scrolling down. It has very smooth transition effects, font awesome and many other amazing features that are wonderful for your site startup. With Maxibiz, you are guaranteed a site that will have a great flow of audience and of course, good sales.